As a global healthcare company with a 125-year history, seeking to discover, develop and provide innovative products and services that save and improve lives around the globe, Merck & Co. is launching initiatives to improve energy use, reduce greenhouse gas (GHG) emissions from its operations and understand its supply chain-related impacts. Tweet This! 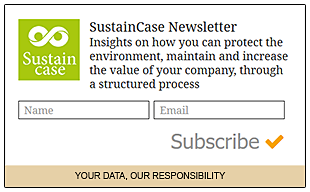 This case study is based on the 2017/2018 Corporate Responsibility Report by Merck & Co. published on the Global Reporting Initiative Sustainability Disclosure Database that can be found at this link. Through all case studies we aim to demonstrate what CSR/ ESG/ sustainability reporting done responsibly means. Essentially, it means: a) identifying a company’s most important impacts on the environment, economy and society, and b) measuring, managing and changing. In its 2017/2018 Corporate Responsibility Report Merck & Co. identified a range of material issues, such as pricing & commercialisation, research & development, privacy of patient data, ethics in sales & marketing. Among these, improving energy use at its facilities stands out as a key material issue for Merck & Co.
To identify and prioritise material topics Merck & Co. carried out consultative interviews with both internal and external stakeholders. 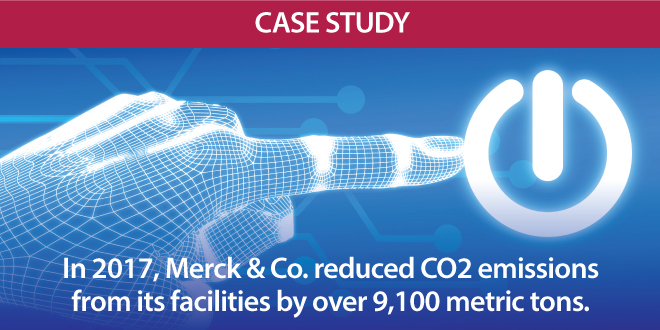 What actions were taken by Merck & Co. to improve energy use at its facilities? Merck & Co. has established an Energy Capital Fund of up to US$12 million per year, to switch to more energy-efficient technology and respond to energy demands in the future. The Energy Capital Fund supports the realisation of projects with a simple four-year payback, averaged over the entire portfolio. In 2017, Merck & Co. spent US$3.8 million on projects that resulted in US$1.4 million in annual savings and a reduction of over 9,100 metric tons of carbon dioxide from the company’s facilities. In 2018, Merck & Co. had more than 100 projects in progress, to reduce carbon dioxide emissions from its facilities by more than 35,000 metric tons. Merck & Co.’s Energy Center of Excellence (CoE) has created an “energy road map” to help facilities reduce energy demand and related GHG emissions – through large-scale metering and monitoring to assess and identify opportunities for constant improvement. Energy savings are sought by improving the reliability of the equipment, by the efficient operation of utility systems and by building efficiencies into systems design. Since 2010 Merck & Co. has conducted Energy Treasure Hunts at 13 facilities worldwide, identifying more than 1,000 energy-efficient project opportunities, many of which have been successfully implemented. In addition, Merck & Co. carries out online Energy Treasure Hunts to engage employees, using their unique expertise and local understanding of their facilities –obtaining high-level recommendations such as renewable energy assessments and lighting systems optimisation. In 2017, thirteen Merck & Co. facilities participated in Energy Kaizens, which helped them reduce heat energy losses from missing or damaged insulation. These kaizen events identified more than US$500,000 in energy savings. In addition, through these events, employees received training and acquired assessment skills and knowledge that they can apply to the rest of their facilities. Note to Merck & Co.: With each case study we send out an email requesting a comment on this case study. If you have not received such an email please contact us.